Selwyn hosts annual student trips through our Perspectives Travel Program, which is an integral part of our curriculum from Lower School to graduation. This is a cherished tradition at our school, providing students with unique, hands-on experiences designed to help them develop a sense of personal responsibility and self-reliance. Interpersonal relationships between the students are enhanced as they learn how to problem solve and work together while braving new adventures outside of their usual comfort zones. Every successive year the length of the Selwyn travel program trips increase, as do the students’ responsibilities for planning and implementing their travels. First and second grades go on a day trip within the Dallas/Fort Worth metroplex, and second graders also have an overnight camping trip on the school’s grounds. In third and fourth grades, students take a joint three-day camping trip to Sky Ranch, and the fifth grade will enjoy a week-long adventure at Camp Grady Spruce. 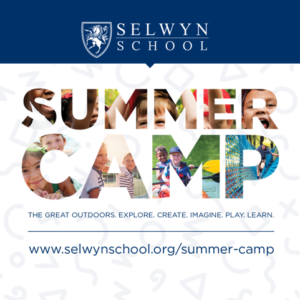 Over the course of a student’s three years in the Middle School at Selwyn, they might experience the ocean, the mountains, or the desert. Before each trip, students learn about the history and climate of the region. Our Perspectives Travel Program gives middle schoolers a chance to practice many important skills as they plan, adventure, and learn about the world around them. All Upper School Selwyn students participate in Perspectives. The Selwyn travel program opens students’ minds to new horizons, and they learn to appreciate other cultures and communities by venturing out of the classroom to experience other parts of the world. Our Perspectives Travel Program is part of Selwyn’s extensive Outdoor Education Program! Click below to learn about the program, the benefits of outdoor education, and why it’s always been an essential part of our curriculum.